Let us first say we are deeply sorry for your loss and we wish we could take your pain away. Please read the qualifications below to see if you can apply for financial assistance. The family must be current residents of the United States. The baby who has passed was at least 20 gestational weeks old at the time he/she passed. Medical bill(s) must only be associated with the delivery of the stillborn baby. We do not cover funeral expenses. 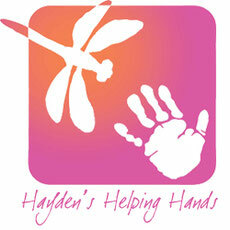 These qualifications must be met in order to apply for financial assistance from Hayden's Helping Hands. Financial assistance is given for delivery medical costs of a stillborn baby. We pay for current delivery bill(s) for a stillborn. We are not able to cover funeral expenses, prior doctor visits, check ups, aftercare, or any past due/collections medical bills. The amount of financial assistance does not exceed $1,000. Payments issued are paid directly to the institution issuing the invoice for the medical delivery bill(s). For questions on applying or to receive an application for financial assistance that pertains to the delivery of a stillborn baby, please contact us at application@haydenshelpinghands.com.